Sixth formers from Colston’s Girls’ School organised a successful art exhibition on Bristol’s harbourside to champion racial equality. 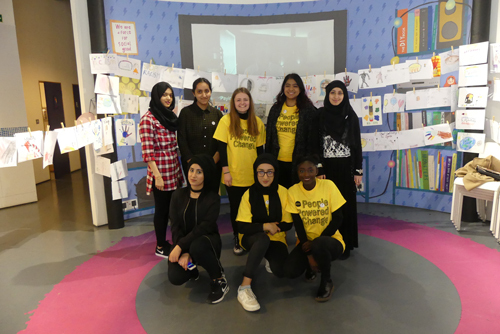 The paintings and drawings on show were created by children from The Dolphin School and younger girls from CGS during workshops with the E-Race team in which they explored ideas about racism and hate crime. Aneesa Raza, from the team, said it had proved a good way to raise awareness of the issues. The art show was staged at the Bristol Energy Hub at a weekend and drew a large crowd of visitors of all ages. The E-Race team is working with the youth action charity Envision on the project throughout the year. The girls began by holding cake sales and selling badges to raise money to fund the exhibition and will present a digital story of their work to a panel of business people in June.